Creating a marketing plan and need some new real estate marketing ideas? You’ve come to the right place. We put together an exhaustive list of great advice on marketing and how to generate more leads from top producing agents from all over the country. From virtual open houses to marketing for millennials, you’ll find everything you need here to kick start your marketing campaign. Most people know what SEO (Search Engine Optimization) stands for. What most people don’t know is how it works and worse yet, how to measure it. There is a ton of misguided information out there on how to get your website to the top of search engine results. Most people don’t search beyond page 1 let alone page 2. What would being on page 1 of Google do for your business? You can either learn SEO or you can hire someone to do it-just make sure the person you hire has proof that they can rank. In other words, if they don’t show up themselves on search rankings-how can they do this for you? For free tips on how to optimize your site Egghead SEO. If you’re working as a listing agent, it’s important to create descriptions that will jump off the page and grab the buyer. A good tactic is to appeal to the buyer’s emotions. Use keywords that paint a picture. It’s not just about telling facts, but also about selling stories. Remember that every listing you get is an opportunity to get another listing, and is demonstrative of how you will handle your future clients’ property. Treat every listing like your next listing depends on it. In this excellent edition of Marketing Academy Secrets, Placester’s Seth Price gives you the lowdown on how to use landing pages to convert visitors to leads. Quick, actionable, and easy to follow advice to make sure your site captures as many leads as possible. Super helpful! 6. Automate your lead process to develop repeat customers and referrals. One of the biggest mistakes made by agents is not regularly following up with their leads and connections. Once an agent starts generating more than 15 news leads per month, keeping track and managing leads through email and calendar reminders becomes unfeasible. At that point, you’re better off automating it with a software such as Contactually, which offers a free 14-day trial you can access here. If you want to get into the world of online advertisements, there’s no greater place to look than Google. Here, Alyssa breaks down everything you’ve ever wanted to know about Google AdWords, the advertising arm of Google. One of the best ways to market your business is through your real estate website. But, in order to get your website seen, it has to show up when local home buyers search Google, Bing, and other online search engines. Follow this 25 step checklist to ensure your site is up to speed. Stepping in to fill that void can mean a nice boost to your online presence and can help generate leads. 11. Set up your own IDX website in under an hour. There’s no better way to show off listings than with an IDX-enabled site. An IDX-enabled site pulls listings from the MLS onto your website, so visitors can browse homes for sale without ever leaving your site. Surprisingly, this doesn’t have to be difficult or expensive. We’ve put together a comprehensive guide on how to put together an IDX-enabled real estate website in under an hour, all for less than $4/month via Bluehost. Click here to check it out and get your listings online in no time. Looking for a turnkey solution? Check out our buyer’s guides on the top real estate website builders, or best real estate lead generation websites. To get started with door hangers, check out ProspectsPLUS!®, which offers a large number of templates specifically for real estate agents and brokers. Drip marketing emails are pre-written messages that get sent automatically to your leads. They help you foster a relationship and nurture leads through the sales funnel. In this guide, Bushery provides many examples of drip marketing emails that can be used in a variety of situations. Because mailing lists are a necessary part of your campaign, it’s important to truly weigh your options. Should you rent or should you buy? This article takes a look at the benefits and drawbacks of renting a mail list. Seeing a new listing for the first time? Why not show your audience via livestream? They’ll feel like they’re getting the inside scoop, and you’ll be able to build your audience and get more leads. That’s a win/win. In this edition of Beverly Hills superstar broker Peter Lorimer’s (amazing) Magic Minute series, he walks you through the process. What have you Googled today? Every second there are over 40,000 search queries on Google, or 3.5 billion a day. A relative portion of these searches involves real estate — people typing in “homes for sale.” Now, when’s the last time you thought about making your featured listings Google-friendly, or better yet, SEO-friendly? This guide covers all the key basic SEO elements, which will help you generate more free traffic from search engines. Los Angeles luxury brokerage Partners Trust has a great writeup of how you can use Instagram Stories to market your listings or personal brand. The key is to use Instagram Stories to give your audience a look at your day to day life as an agent as well as focusing on your listings. Believe it or not, lots of people are curious about what the heck real estate agents do all day! Sending out real estate marketing postcards on regular intervals will inspire interest in your business, and raise brand awareness as well. If you’re interested in postcard marketing, also be sure to check out ProspectsPLUS!®, which offers a large number of templates specifically for real estate agents and brokers. According to NAR statistics, 35% of all buyers in 2016 were millennials. This is up from 32% in 2014 and will only continue to grow. The market is so important that Zillow recently launched a real estate portal just for millennials. That means learning how to market to Millennials is crucial if you want to grow your business exponentially. To #getstarted (sorry, I couldn’t resist…), check out Chatham New Jersey Realtor Matthew Bonneli’s quick start video below. If viral content has taught us anything, it’s that there’s no predicting what an audience will find fascinating. Sometimes a home’s price or its location in a hot market draws the views, and sometimes it’s just been on the market for a long time. In this guide, Nancy Robbers looks at many different Zillow listings that have 10,000 views or more and compares what they all have in common. Like all great social media platforms, it was only a matter of time until clever Realtors started using them to close more deals. Silicon Valley based Realtor Alex Wang and New York City agent Michael Meier, are both using Snapchat and Instagram in innovative ways to market their listings and their personal brands. To learn more, check out Lauren Smiley’s excellent write up on BackChannel. Over on the Placester Academy, Matthew Bushery explains how to make the most of your marketing efforts on Pinterest. His tips include diversifying your posts (posting nothing but listing pictures is boring), using a local perspective, appealing to sellers, focusing on keywords rather than hashtags and more. Lot’s of useful info here. While many agents think PR is something that only celebrities and titans of industry can afford, very few realize they can do it themselves. For free. Mike Fabbri, a New York City agent at Corcoran, uses sites like HARO (Help a Reporter Out) to pitch his expertise in real estate to journalists looking for sources. In return, he gets his name in the press, as well as the chance to get a link back to his website which is great for SEO. Full disclosure, we met Mike on HARO! This is the holy grail of social media tips for your real estate business. Follow this guide’s advice on how to use different tools in social media. Sponsoring your local youth soccer, baseball, or football team can be a great way to stay top of mind with your local community. You’ll not only build goodwill with their parents but can often get links back to your website on community websites. At the end of the season, throw a pizza party and invite the entire team, coaches, and their family and friends. You can also sponsor bake sales, charities, or other local events. You can find groups looking for sponsors on sites like Sponsor Anything, SponsorMyEvent, or SponsorBoat. Matterport technology lets realtors, architects, and developers create jaw-dropping virtual tours of their properties. 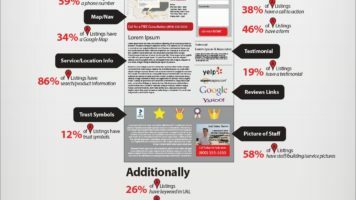 While many home buyers love to walk through spaces online, they’re also a great way to market yourself to seller leads. Showing them a virtual tour you created for another listing will definitely give you an edge over other agents vying for their listing. Most good real estate photographers will be able to create Matterport tours for your listing. If not, or you want to cut out the middleman, you can buy your own Matterport camera for around $4500. If you haven’t heard of Matterport before, check out an example tour here. While many Realtors on teams obsess over their headshots, websites, and business cards, most never bother to get a great logo. This can be a huge mistake as no logo, or worse, a bad logo is saying a lot about your business. Want to get a logo that will help build your brand? Check out our guide to the Top 25 real estate logos for 2017. We show you our picks for museum-worthy logos this year and run you through the basics of getting a killer logo for not a lot of money. We discussed earlier how video marketing is so effective to successful conversion. This article discusses the 5 best types of videos to use in your marketing campaign. Bing is the second largest search engine in the world and can drive a lot of traffic to your business. Because most advertisers are focused on Google, you may also be able to acquire clients on Bing at a lower cost. Try Bing Ads Today With a Free $100 Ads Coupon when you spend $25. Of course, billboards aren’t illegal (at least, not that we know of). This article from Trulia shares 10 dos and don’ts for your banner campaign. Venture capital funded startup Opendoor will offer your listing clients an instant, all cash offer for their home that can close in as few as 3 days with full commission. You can also refer properties you’re not currently listing and still collect 25% of the gross commission. For buyer’s agents, they offer instant access showings to any of their listings and will pay full commissions even if you send the buyer to view the property on their own. Opendoor is currently working with Realtors in Phoenix and Dallas-Forth Worth and will open soon in Las Vegas. How do you stay in touch with clients without seeming too aggressive? How do you demonstrate to potential clients that you are in tune with changes in your local market? The answer: sharing articles with them about the local real estate market through Facebook and Twitter. There are a number of companies that find articles and automatically post them on your social media channels, such as CityBlast. CityBlast offers a free 14-day trial. So, now that you understand the need for a drip email campaign, check out Travis’ article on how to create killer email newsletters. Having a strong subject line for your email is definitely a can’t miss step. Another one is to include a call-to-action that prompts engagement. 37. Invest in Your Community to Generate Strong, Top-of-Mind Referrals. My favorite marketing advice is to embrace community engagement. For example, in May and June we’ll host two free community paper shred events. One will be in Los Alamitos, CA and the other in Brea, CA. The event reduces paper in the landfill and it helps people reduce identity theft. To help spread the word, our agents farm various neighborhoods with flyers and door hangers. People can shred up to five boxes of paper for free (it’s about a $100 savings). 38. Try Sending Handwritten Notes to Stand out From the Competition. I would say that my favorite marketing advice is –write thank you notes! I thought going the high-tech route when contacting people would be the way to go. I was wrong. People are very receptive to receiving handwritten letters and thank you notes. It sounds silly and simple but this old school technique seems to set me apart from my competition. Not many people are doing this anymore. And in real estate, you need any advantage you can get! If you’re like me and your handwriting is as bad as your doctor, check out services like Bond.co who create fonts from your handwriting and automate the process. Are you paying enough attention to your personal brand? The hard truth is, when you don’t work on your personal brand, that becomes your personal brand. Instead of leaving it up to chance, every top producing agent I’ve interviewed (hundreds) recommends taking a more active role in building your brand. This quick, actionable and social media friendly infographic will teach you the ropes. 40. Build Hype for Your Listing Before it Hits the Market. To enterprise on the market trends, we’re putting out coming soon signs and brochures about the properties weeks before they hit the market. This builds anticipation and interest because Buyers are out looking for any new home they can find in key areas. Once we list the home, we hold off of allowing showings for a few more days, to continue to build excitement. 41. Craft a Personalized Message for Your Buyers. Make the message about them. They don’t care about you. So tell them how you can help them as quickly as possible. Make your message short and sweet. In our fast paced world, people rarely read all their email. Unsolicited mail often hits the trash can. If you want your message to be heard, do it quickly. One way we are able to generate 5+ new leads daily is with our local community pages. What makes this such an effective marketing idea is the fact you are reverse engineering attention to generate real estate leads. Once you put the work in up front, these leads are continuous. 43. Make your house memorable with one stand-out item that buyers can’t forget. Have one really quirky item in the house. So when a buyer is talking about it, they can say, “the house with the giant buddha or the orange rug house.” Have something that stays in their mind about the style or design. Sometimes a perfectly nice normal house can be forgotten about if it is the middle house in 6 houses seen. 44. Showcase Your Charitable Side. 46. Create a Blog that Answers Client’s Questions. My advice would be to create quality content around the questions of my potential clients. Am I experienced with new home buyers? If so, what questions do they usually have that I can answer through content on my site or blog? The same goes with clients that buyer homes often or are looking for a bigger home for their growing family! There will always be a question and the sooner you answer those questions, the quicker the client will trust you which will lead to a sale down the line. With emails, the most important aspect is the email subject line. They are key to get the recipient to open and read the email. Now, this means crafting a subject that is essentially a call to action but doesn’t give away too much information about the email and shows that you are not a spammer. It is sort of a ‘Goldilocks Scenario’ where you have to convince the reader that the information is good enough, without being too specific. 48. If They Can’t Come to the Open House, Bring the Open House to Them. Using a proprietary technology, I hosted a virtual open house which used proprietary technology to offer 360-degree immersive panoramic photography. The result? A person attending the open house could feel like he/she was in the apartment doing an in-person walkthrough. To make it more attractive, I also attached a contest to the virtual open house. Anyone who walked through five of the seven rooms was automatically entered into a raffle for the chance to win an iPad. The unit sold in a matter of days. 49. Grow Your Network with Regular get Togethers. Besides advertising exclusives on Streeteasy.com, Trulia, and Zillow, and sending out monthly newsletters, my top strategy remains the personal touch. I host a monthly happy hour open bar in NYC and invite my top clients and their friends and families. It’s a great way to organically grow your network, and I’ve gotten some of my best sales clients this way. I highly recommend it! A powerful way to enhance your marketing is to set up retargeting campaigns. The idea is to craft a great ad copy that directs people to a dedicated landing page (or a single-property website with the listing you’re marketing). The ad follows your site visitors across the web and social media helping you redirect the traffic back to your site when they’re more ready to reach out. Want to learn more about retargeting? Check out our Facebook advertising guide. Buyers are increasingly turning to online photography as the first step in the process of purchasing a property. It’s not enough anymore to simply put a sign in the front yard or raw data into the MLS. To compete with even an average listing agent, you have to create a story that compels buyers to take the next step. That story most often begins with a picture. Facebook is great, and should continue to be a big part of your online presence, but it’s old news. Snapchat is the social network of the future. Everyone using Snapchat for real estate right now is just the early adopters. Soon, it will be just as common to use Snapchat for real estate as it is for Realtors to have a Facebook Page. Whew! That was a long list. Have a great real estate marketing idea we missed? Let us know in the comments. A licensed New York City Real Estate Agent and veteran of the marketing department at Tishman Speyer, Emile has been involved in every aspect of property marketing from brand creation to pre-war rentals and resales. Thank you so much for these huge marketing ideas. After reading, I realized had so much things to do due to the fact that we’re not even using some of those in our business. Good thing to rid these tips. Its helpful.